You are here: Home / Blog / MOSES in the Media / Catch MOSES on WORT 89.9 February 11 and February 18! Catch MOSES on WORT 89.9 February 11 and February 18! Our twice-monthly radio segment on WORT will air tonight, Tuesday, Feb. 11, between 6:30 and 7:00 pm. 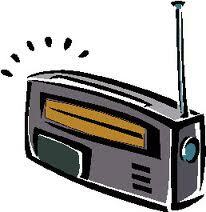 That’s the evening local news show called “In Our Backyard.” Click to listen online! This segment will feature DOJ official Ray Luick, discussing how he evaluates TAD programs and their promise. The FOLLOWING Tuesday, Feb. 18, you’ll be able to hear our next broadcast. So, on Tuesday, Feb. 18, between 6:30 and 7:00 pm, you can hear Joe Ellwanger give perspective from his civil rights experience. Note that our segment is 4-5 minutes out of that half-hour show. We can’t tell you exactly when during the show MOSES will be featured. The day’s producer will decide that. So if you tune in and don’t immediately hear us, don’t be dismayed! Keep listening. In Our Backyard is a great show! http://mosesmadison.org/wp-content/uploads/2015/08/Moses-Default-Image-e1438717799573.png 166 300 mosesmadison http://mosesmadison.org/wp-content/uploads/2017/05/webheader-logo-2-600x203.jpg mosesmadison2014-02-11 23:18:552017-03-11 20:20:13Catch MOSES on WORT 89.9 February 11 and February 18!